Christchurch and its scenic surrounds have a whole lot to offer those looking to move to New Zealand. For one, the Canterbury region was just listed on National Geographic Travel’s Best Trips List 2019. no doubt due to its access to adrenaline sports, potential for wildlife encounters (whales and dolphins) and its stunning scenery. While Christchurch has suffered since the earthquakes of 2010 and 2011, the new city that has emerged is a united, welcoming and exciting place to be whether you are moving to New Zealand alone or with your family. A view of Christchurch. Could you be happy here? With a population of 375,000, Christchurch is New Zealand’s third largest city and the largest urban centre on the South Island. The city was named after the settlers from Christchurch College at Oxford University who originally arrived here, and promptly shaped it into a typically English spot, complete with parks, gardens and cricket ovals galore. Not to mention the fact that Christchurch is located on its very own River Avon. Also, the climate is not dissimilar to the south of England, although you’ll be pleased to hear that it is far sunnier come summer time. In more recent years, Christchurch’s more traditional vibe has changed – the city you will now find is multi-cultural, youthful and welcoming to migrants. It also offers that priceless blend of city living and laidback beach life that the world and its dog are dreaming of! Since the devastating earthquakes of 2010 and 2011, Christchurch has been a city in transition. The CBD and its infrastructure were very badly affected, many of the city’s buildings were completely destroyed, including some of its most well-loved historical sites. However, the residents of Christchurch aren’t dwelling on the past. The new Christchurch that has emerged from the rubble features reinforced buildings, wonderful public art spaces and a veritable array of interesting alternatives to typical infrastructure solutions. We’re talking shopping malls made from shipping containers, similar to Box Park in the UK, open-air cinemas, and a number of projects supplied by Gap Filler, community-led creations such as free nine-hole mini golf courses, a public dancefloor and obstacle courses, all designed to reinvigorate Christchurch’s empty spaces. There are innovative projects happening all across the city, and they all need volunteers, which could be a great way for you to get acquainted with the city and its residents that have stuck by it through hard times. While there is no masking the damage, or any real attempt to – what is clear is that the local community have come together to rebuild and reinvent their city, and the result is something special. Christchurch is completely flat, which makes getting around on bike or on foot nice and easy. Hagley Park is the city’s pride and joy. At 160 hectares, it’s considerably larger than Hyde Park in London. This is a dream spot for a sunny picnic, a round of golf, sport of all kinds, a stroll around the Botanic Gardens, or to attend one of the many cultural events that take place here throughout the year. Speaking of which, expect your events calendar to fill up fast when you move to Christchurch – there are food and wine festivals, street food markets, music festivals, and big international music acts stopping by on their world tours. Also, it’s important to visit the Cardboard Cathedral and to pay your respects to the victims of the quakes at the 185-Empty chairs open-air memorial. This is a city that loves its grub – and its wine, of course! In addition to weekly farmers markets flogging wares from the surrounding farmlands, there are excellent restaurants, coffee shops, food trucks, pop-up bars, buses, shipping containers – basically, if you can set up a bar or fit a coffee machine in it – innovative locals will have already turned it into a business. Be sure to check out the Re:Start Mall for all your sartorial needs, play a round at one of 15 golf courses in the city, or visit one of the 700 inner city parks! No wonder Christchurch has been dubbed ‘The Garden City’. Christchurch is bordered by the Pacific Ocean, the Banks Peninsula and the Canterbury Plains farmlands. Also, the Southern Alps are less than 100km away, and tourist hotspots like Milford Sound, Wanaka and Queenstown are all within easy reach. This makes Christchurch the ideal spot to base yourself to enjoy a mix of city living and outdoor pursuits. For example, Christchurch is one of the few spots in the world where you can ski and surf on the same day. Mount Hutt’s ski fields are just a two-hour drive away from some of the city’s best surf breaks, including Taylor’s Mistake. Furthermore, if you like to get your blood pumping, the region surrounding Christchurch is an adventure lover’s playground. 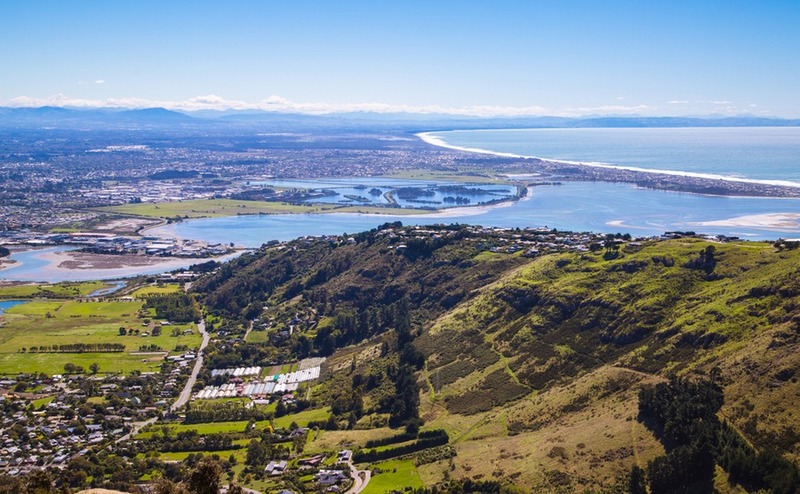 The Port Hills surrounding the city are excellent for walking, running, biking or just a relaxed scenic drive. Further afield, you can hike, climb, mountain bike, white water raft, take a hot air balloon ride, skydive, bungee jump and everything utterly terrifying in between. If that all sounds a little too much like hard work, you could opt for a more peaceful winery tour. There are a number dotted in the countryside around 30 minutes outside of the city. When you move to New Zealand with your family, you will be offering your kids the chance to access excellent educational institutions, from primary level right up to university. The University of Canterbury is the third best in the country, and the 214th best in the world. In 2013, the NZ government announced plans to invest $1 billion in upgrading and building new schools in the city. Understandably, many of the employment opportunities in Christchurch over the last few years have been in the construction industry. 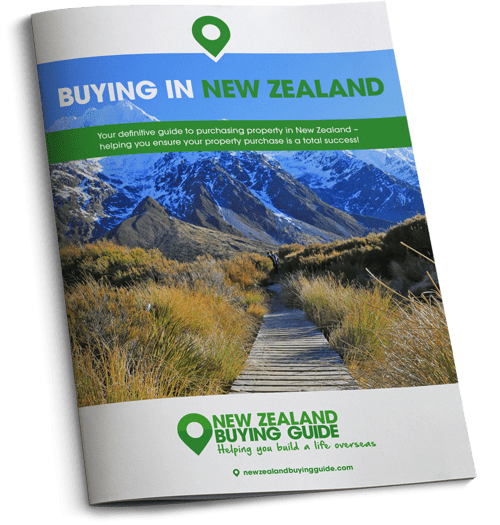 While the demand is slowing somewhat, it’s still there and could well be your ticket to New Zealand if you can find the right role. Christchurch is being rebuilt, and as it is reborn the focus is very much on its future. Therefore, this has created a rather unique business and employment environment, with lots of start-ups and exciting opportunities emerging. In particular, there are a high volumes of jobs in manufacturing and IT. You can check whether your profession is on the skilled shortage list here. While Christchurch is similar to England in winter, during the rest of the year you can look forward to enjoying 2,050 hours of sunshine per annum. Earthquakes are of course still a risk, and aftershocks are still felt regularly. To read and understand more about how earthquakes affect the city, click here. This seaside suburb is located in its very own coastal valley and boasts a fantastic beach, popular with surfers, swimmers and sunbathers. The suburb is around 15 to 30 minutes’ drive from the centre of Christchurch. Much of Sumner’s property is dotted around these hillsides, meaning there are plenty of upmarket houses that enjoy uninterrupted ocean views. This coastal property is just down the road from Taylor’s Mistake, and is on the market for NZ$850,000 (£439,000). Boasting four large bedrooms, the hilltop property offers open-plan living, a sun-drenched sunroom and plenty of big windows so you can enjoy the views from any vantage point. If you fancy setting up shop in Christchurch’s gorgeous Port Hills, Cashmere is a superb choice. You will be able to enjoy the suburbs village-y vibe, complete with heritage buildings, peaceful countryside surrounds and spectacular views of the city below. While you’ll want to head into Christchurch for the real action, the centre of Cashmere has an array of cafes and shops perfect for a relaxed afternoon mooch. This enormous family home is nestled up in the Cashmere Hills and enjoys incredible views across Christchurch. Spread over two levels, the property has four bedrooms, two bathrooms and multiple living areas. Everything has been designed to embrace the vistas, including a paved patio overlooking the extensive lawn and gardens. The property boasts a four-car garage and a sizeable workshop, perfect for those planning on taking up some tinkering when they move to New Zealand. 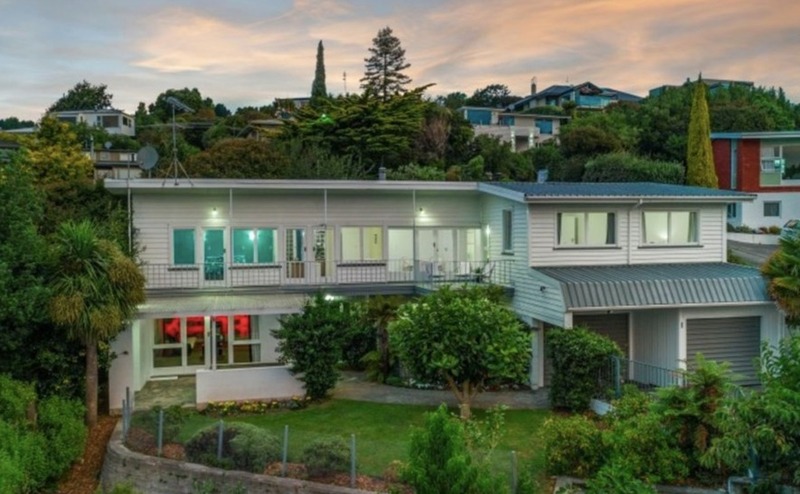 The property is on the market for NZ$890,000 (£458,500). A little further away again, over the Port Hills from Christchurch is Lyttleton, a charming port town around 20 to 30 minutes’ drive from the CBD. This is the South Island’s largest port, so it’s a bustling spot with plenty of amenities and opportunities for mingling with the friendly locals. Again, many of the properties are nestled up in the hills, allowing for ocean views and plenty of peace and quiet surrounded by bushland. 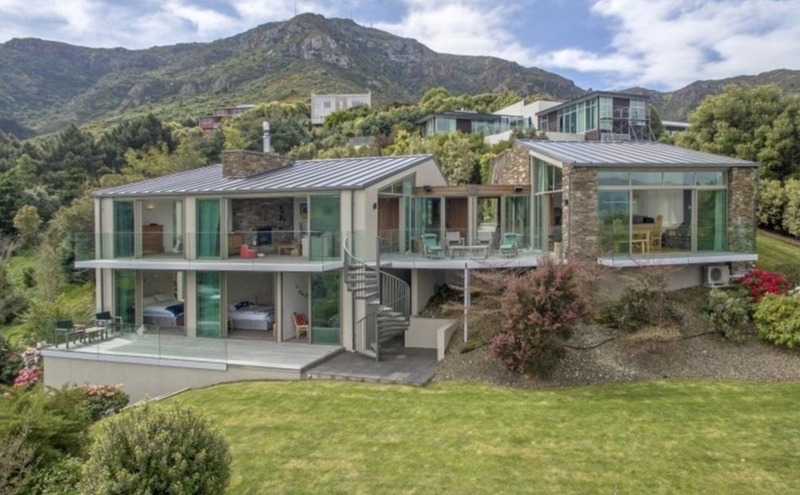 This remarkable contemporary home is located in the highly sought-after Hyllton Heights area, overlooking Lyttleton and the surrounding water. The modern property has four bedrooms, three bathrooms and multiple open-plan living areas ideal for entertaining new friends. There are sundecks off every room, which make the property ideal for enjoying the sunshine…and the views. 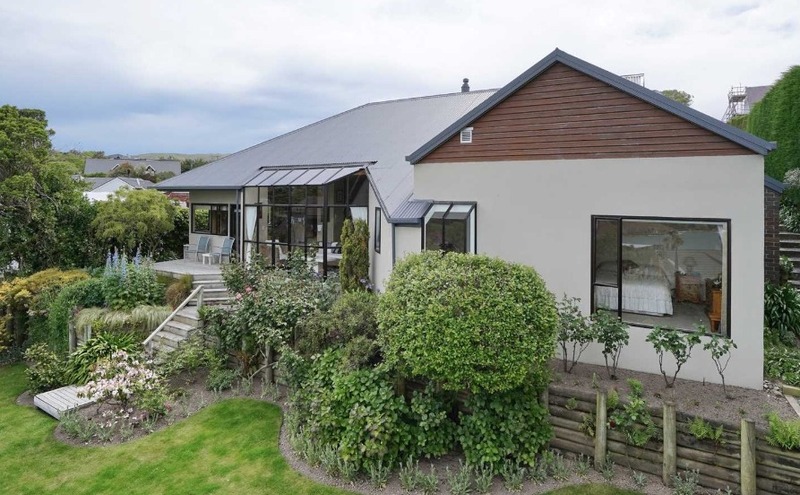 This impressive family home has plenty of parking and is on the market for NZ$1,200,000 (£618,000).